It may surprise a great many people who always know where their towels are that I’ve never really read The Hitchhiker’s Guide to the Galaxy books. I admit I do own the very first and did start reading it decades ago, but something about the writing in book form didn’t work for me. However, that’s because I listened to the original radio series, almost as it happened. It wasn’t quite live, but the summer of 1978 I was away on a camping holiday with friends and a guy called Ron Knott had recorded the show from a couple of months earlier (I think it was still just about the days of reel-to-reel tape recorders). Ron – wherever you are, I owe you a huge debt of gratitude. 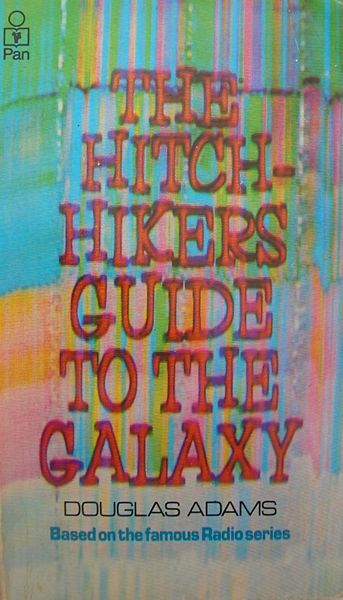 In these pages I’ve written of how I’ve been fortunate enough to have met Carl Sagan, Iain Banks, Steven Moffat and Brian Cox, but I do which I’d had an encounter with the genius Douglas Adams who created the Guide. Sadly, he died ten years ago. The radio series became a book series and a TV series and feature films, I suspect getting worse through each iteration but I confess I didn’t see the recent movie. Nowadays Eoin Colfer even writes additional books, but I haven’t read those either. When something becomes enormously popular there’s a terrible temptation for people to try to make as much money out of it as possible – sometimes it’s best for the original to be left well alone in its purest form. After all, how can you compete with the sound effects of the BBC Radiophonic Workshop or the voice of Peter Jones as “the book”? The most direct link between the Guide and the Johnny Mackintosh books are the means of understanding alien language. If you have a story where humans go off into space they (and the reader/listener) have to understand what’s going on. I never liked Star Trek’s highly convenient “universal translator”. Adams came up with the brilliant idea of the Babel Fish. In his universe, these seem highly common. You put one in your ear and it telepathically translates the language of every being you’re speaking with. I was looking for a method of translation for Johnny Mackintosh and the Spirit of London and came up with the Hundra, which in many ways are like Adams’ Babel Fish. They’re not as portable and if you touch one they kill you, and they come with an ancient, lost history (of course I know what it is but couldn’t possibly say at this point!) but they do a similar telepathic translation trick. And because Johnny Mackintosh can touch them he ends up being unique in having a very Babel Fish-like personal arrangement, which can be highly convenient. For when Hundra aren’t around, I also invented a galaxy-wide form of language called Universal whereby different races can still communicate. The links between the Hitchhiker’s Guide and Johnny Mackintosh don’t stop there. There are a few specifics in Battle for Earth that fans of Adams might spot, but I hope there’s also something about the storytelling style. What Adams did was right insightful but witty science fiction. Something I feel has been a little absent in the first couple of Johnny Mackintosh books has been that they’ve not been as funny as I’d like. As a storyteller, I like to be funny. As someone who scripts entertainment TV shows, I have to be funny. Even though the story of Johnny Mackintosh: Battle for Earth is at its heart a serious adventure, I do think there’s a better balance with more humour thrown in this time. Curiously, the Guide came out within three months of the original Star Wars movie (nowadays known as Episode IV: A New Hope). One of the things I’ve tried to convey to my readers is the sheer wonder anyone must feel at the sights they encounter in space. 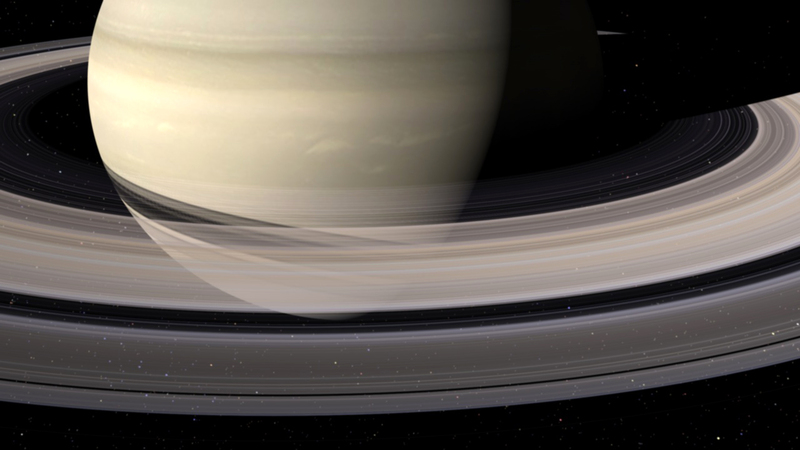 When we have the beauty of Saturn’s rings in our own solar system, just imagine what else is out there waiting for us to find and hopefully share, a little like Rutger Hauer’s final lines of Blade Runner (the “I’ve seen things you people wouldn’t believe” speech). One of those sights must be the spectacle of a double sunset in a binary star system. It happens in Star Wars but I remember it very well from the Hitchhiker’s Guide as something I’ve always been desperate to see. When I wrote my blog about Blake’s 7 a few days ago I remember now (!) I meant to say my quantum computer Kovac is actually a kind of terrible cross between the Blake’s 7 computer Orac and the android Marvin – both were funny. For Arthur Dent, seeing this sunset is his first experience of standing on an alien world and I wanted to give Johnny Mackintosh the same thrill. When he first lands with Captain Valdour on Melania, he gets to see the twin suns of Arros and Deynar setting together and it’s something that stays with him throughout the books. Just as the Hitchhiker’s Guide has always stayed with me. This entry was posted on August 29, 2011 at 12:32 pm and is filed under Battle for Earth, Influences, Writers with tags Arthur Dent, Babel Fish, BBC Radiophonic Workshop, hitchhiker's guide to the galaxy, Hundra, Magarathea, Marvin the paranoid android, Melania, radio series, Star Wars, twin sunset. You can follow any responses to this entry through the RSS 2.0 feed. You can leave a response, or trackback from your own site.